The Pima County Board of Supervisors appointed MattAi? ?Kopec to fill an Arizona House vacancy created by Rep. Victoria Steele’s resignation to focus on her congressional run. Kopec was chosen Tuesday over two other Democrats ai??i?? Pamela Powers Hannley and Ted Prezelski. 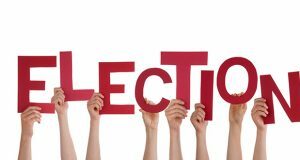 Democratic party officials in Legislative District 9 met last Friday to select three nominees for the appointment. The appointee must be a Democrat and live in District 9, which stretches from the northwest and Foothills area to midtown Tucson. Kopec is a Tucson native who has worked on many local campaigns and as an aide to Tucson City Councilwoman Karin Uhlich.